Analog Artist Digital World: Weekend Top 6 Picks for September 2nd and 3rd. 1PM to 4:30PM $25 at the door. The 15th Anniversary Sunburst Convention Of Celebrity Impersonators Public Showcases. The Florida Hotel & Conference Center located at The Florida Mall at 1500 Sand Lake Road, Orlando, 32809. Imagine Marilyn Monroe, Madonna, Neil Diamond, Elvis, Cher, Michael Jackson, Mariah Carey, Justin Timberlake, Joan Rivers, Robin Williams, Lady Gaga, Barbra Streisand, Tiger Woods, Tim McGraw, Kenny Rogers, Frank Sinatra and numerous other icons of the past and present all gathered together to perform and be seen. No, it’s not another reality show. This year, all are invited to attend special talent showcases open to the public on Friday, September 1 and Saturday, September 2 from 1pm-4:30pm where impersonators will perform, delight and entertain the masses, featuring a special Sunburst edition of “Celebrity Match Game” and “The Tonight Show”. 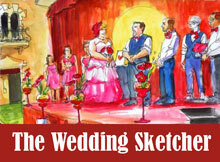 Plus, guests can get their picture taken with their favorite “celebrity” during intermission and following the showcases. Each year, over 100 of the world’s best professional celebrity impersonators, lookalikes and tribute artists fly, drive and cruise into Orlando for the Sunburst Convention to gather, mingle, network, educate themselves and have an unforgettable time. They are joined by numerous talent buyers, talent agents, producers and meeting planners from all over the country who are invited to watch the imitators perform live and make a lasting impression. Sunburst features performance showcases, themed parties, an awards banquet, promotional room and tons of photo opportunities. The general public is also invited to attend and rub elbows with the "Just About Famous" stars, and with special public access again this year, now even more spectators can enjoy the unique, fun and one-of-a-kind entertainment Sunburst has to offer. 1PM to 4PM. 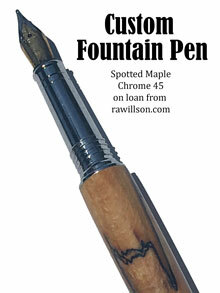 $35. 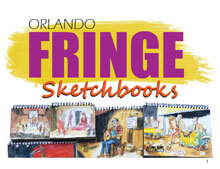 4th of 10 Orlando Urban Sketching Workshops. The Florida Hotel & Conference Center located at The Florida Mall at 1500 Sand Lake Road, Orlando, 32809. This workshop held at the 15th Anniversary Sunburst Convention Of Celebrity Impersonators Public Showcase will cover basic human body and facial proportions. 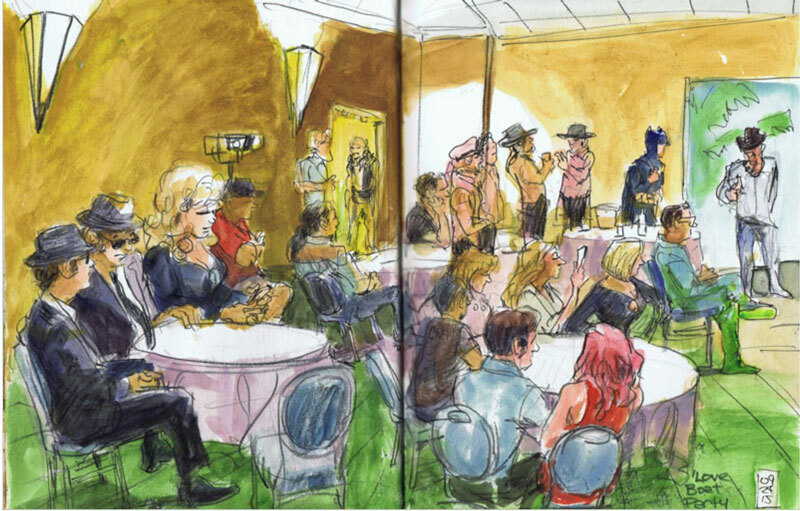 Attendees will then sketch the Celebrity Impersonator's Convention as illustrative journalists. 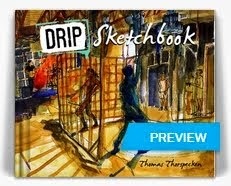 Artist Thomas Thorspecken (Thor) from Analog Artist Digital World is the instructor. 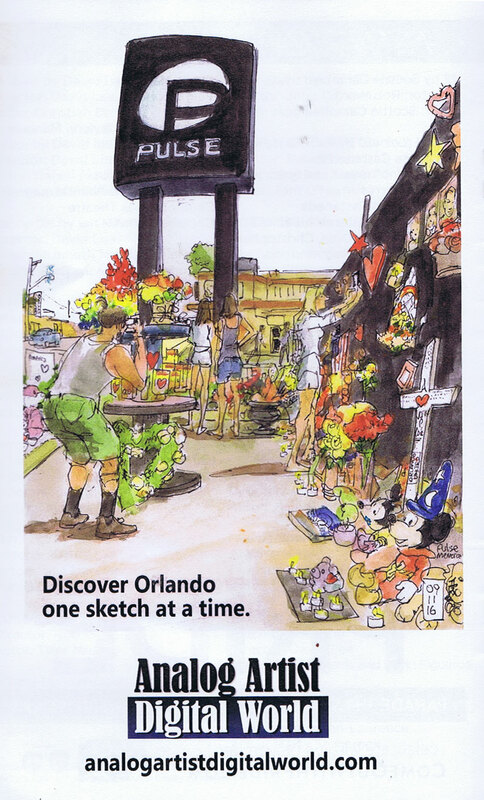 In 2017 Urban Sketchers celebrates its 10 year anniversary and we want to commemorate by introducing the first year long USk program ever! 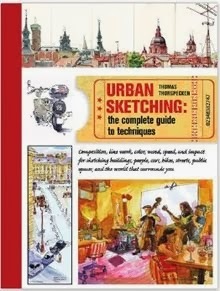 We invite all sketchers around the world to attend 10 on-location classes with USk official instructors in a city near you to learn or improve the core value of Urban Sketching: sketch the world, one drawing at a time. 10:30PM to 12:30AM Get food and or drink. Son Flamenco. Ceviche Tapas Orlando, 125 W Church St, Orlando, FL. Hot blooded flamenco dancers to acoustic guitar. 10Am to Noon. Free. Heartfulness Relaxation and Meditation Class. University, 5200 Vineland Rd, Orlando, FL 32811. The Method of Heartfulness A simple and practical way to experience the heart’s unlimited resources. http://heartfulness.org. Noon to 1PM Free. Yoga. Lake Eola Park near the red gazebo. 10PM to Midnight. Free but get some coffee. Comedy Open Mic. Austin's Coffee, 929 W Fairbanks Ave, Winter Park, FL. Free comedy show! Come out & laugh, or give it a try yourself.